Oil rubbed bronze paint is amazing! I know this is old news but I have been collecting some ugly gold things that I have purchased at Goodwill. 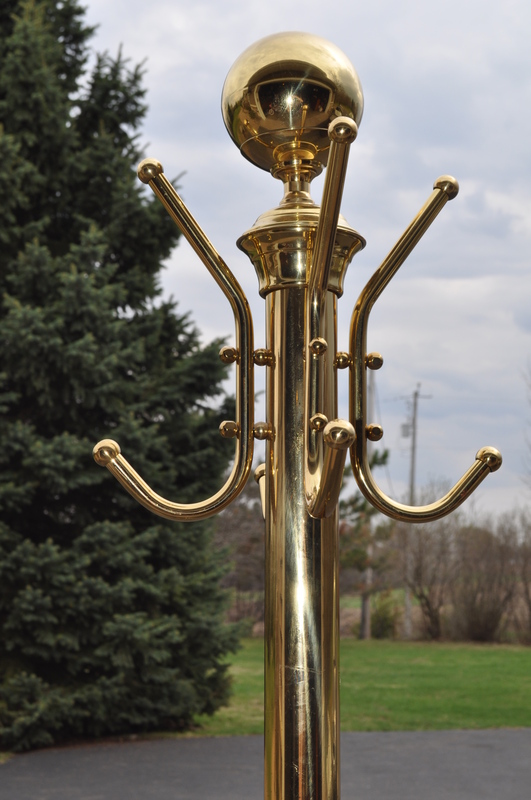 Not only do I love ORB – I love coat trees. I don’t have a lot of room by our front door but I knew I would find some place for this. 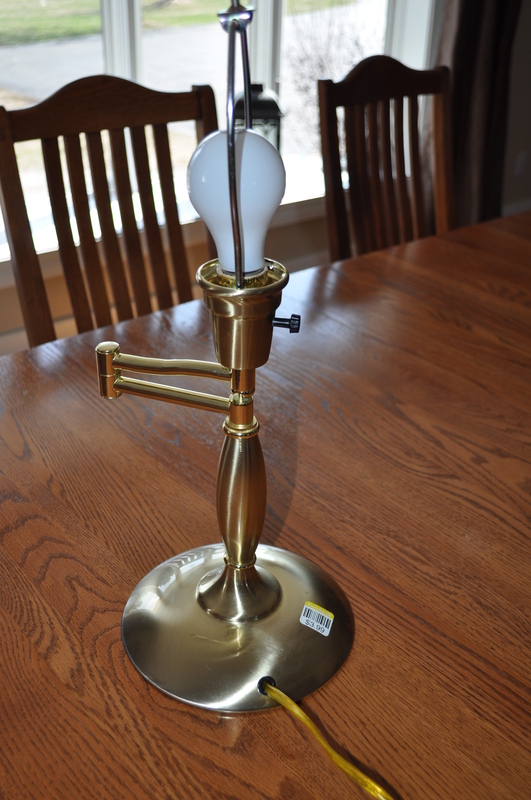 It was $10 and sold brass, heavy and good quality. As you can see it’s beat up and really tarnished. 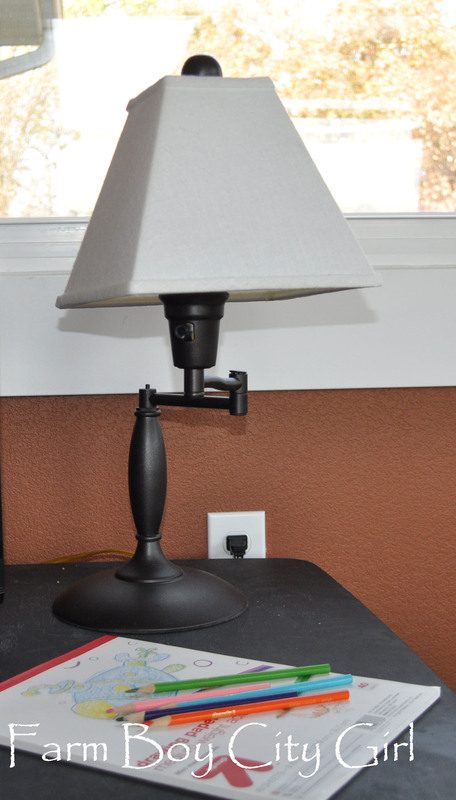 This lamp was $3.99 and didn’t come with a shade which was fine by me…they tend to have a smell. Fabric items I like to purchase new unless I can wash it. What I love is the arm on it. I saw a floor lamp too and I should have gotten it. Shoot! 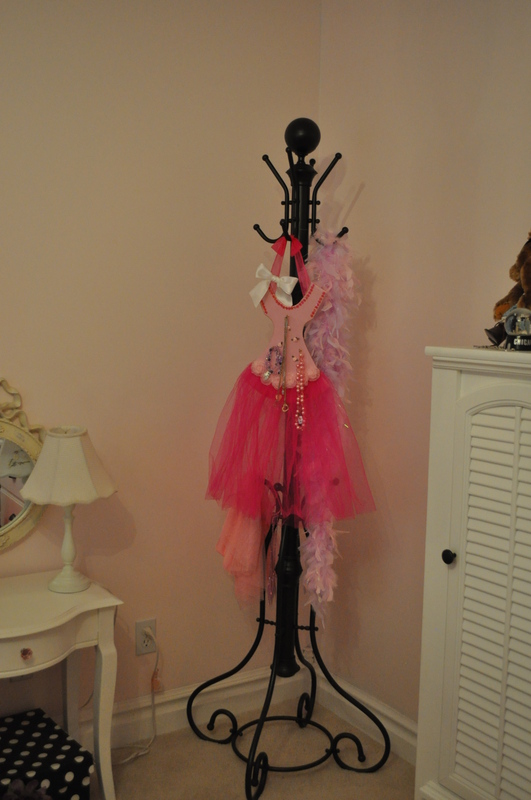 I did prime the coat tree but not the lamp. 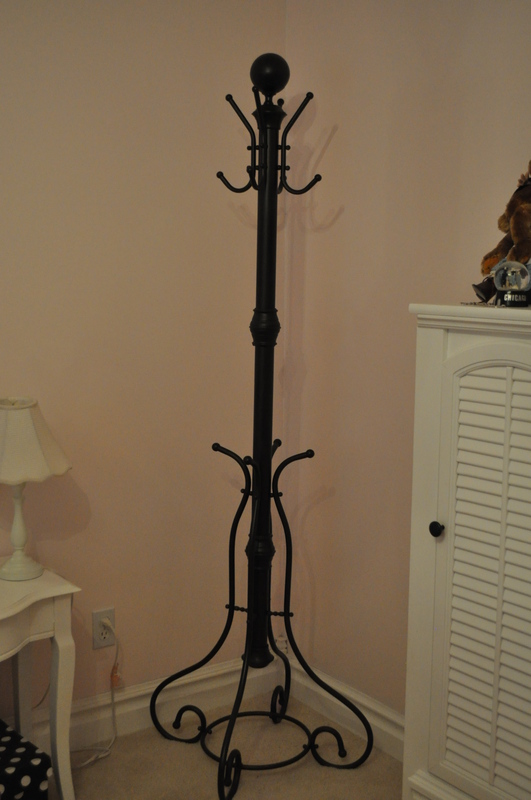 The lamp hardly took any paint but the coat tree took a whole spray can. There are so many curves and details. Here is what they look like now. Aren’t they beautiful! I used a shade I had on a lamp I wasn’t using anymore and put it on the girls play table. 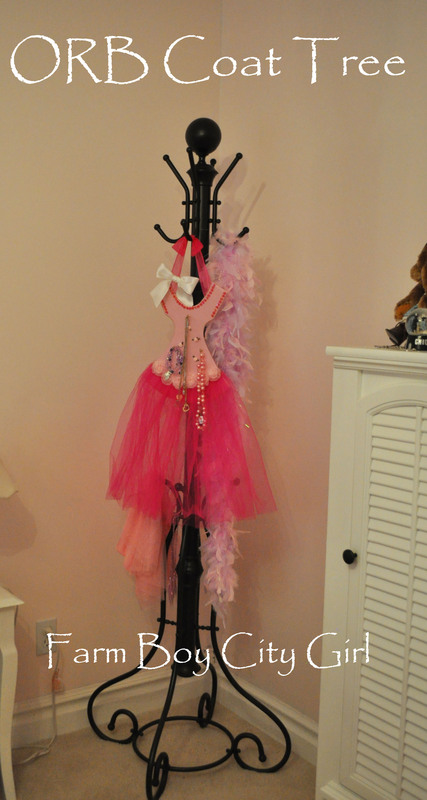 The coat tree actually ended up in my daughter’s room and it’s perfect for hanging her girly stuff. Coat trees aren’t just for coats right? I have a few more things that I am going to turn from gold to beautiful. Give it a try it’s amazing stuff! Here is a picture of the paint I used. Thanks Judy for asking. 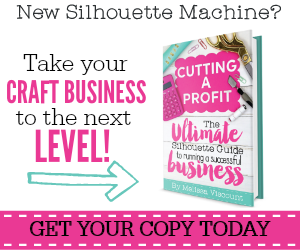 Look at what we are working on! You will never believe what we turned this into. 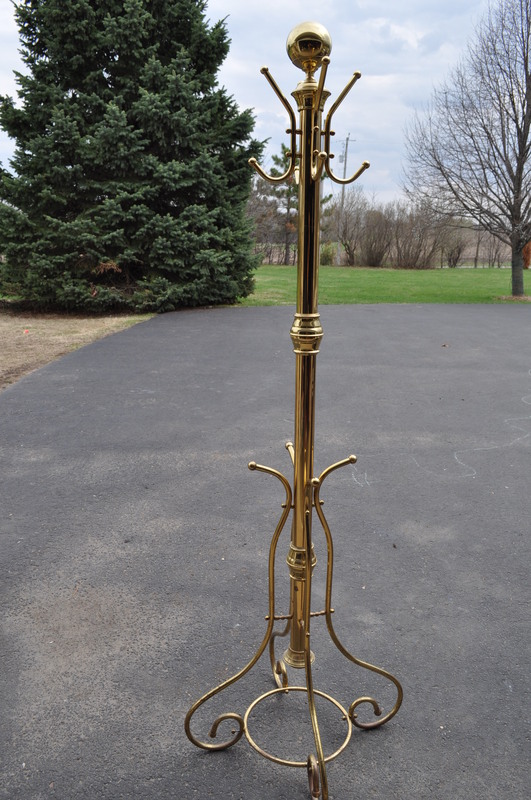 This entry was posted in Before and After, DIY, Furniture and tagged coat tree, goodwill before and afters, goodwill transformations, how to make candles, How to paint gold, how to transform ugly gold fixtures, oil rubbed bronze. Bookmark the permalink. Lovely transformation! I’m also enjoying some ORB spray paint these days. It is so satisfying since the transformation is so noticeable but it doesn’t take much time! Thanks! I love how fast it goes too and how it goes on almost like in a shimmer. 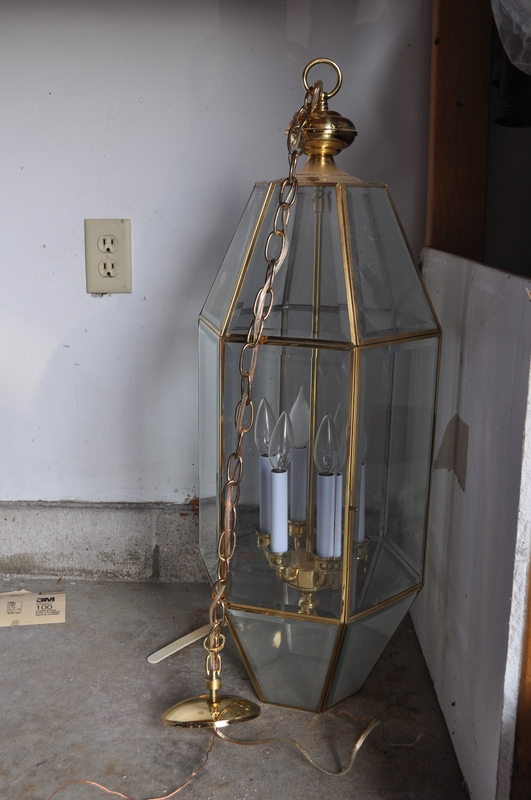 I can’t wait to post what we did with that ugly gold fixture. Farm Boy outdid himself. Hopefully next week. BTW – love your blog. It’s spray paint and I got it at Home Depot. 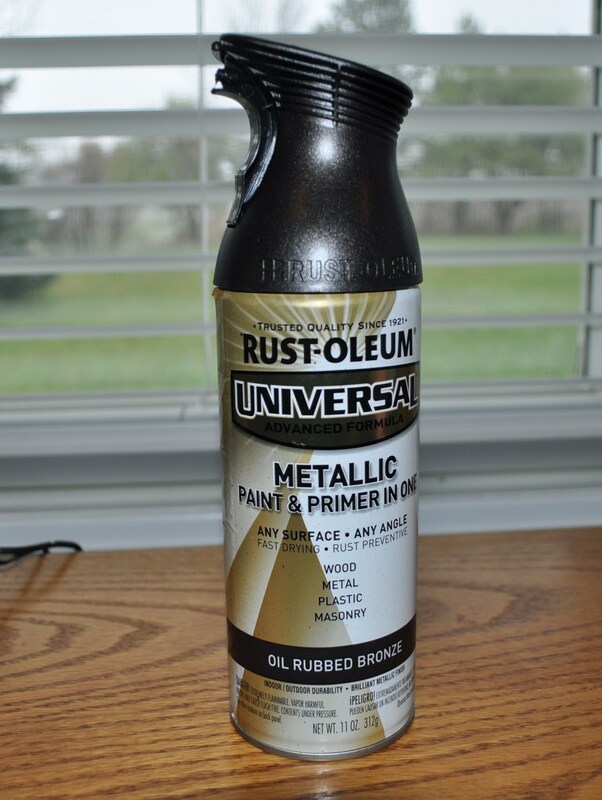 The one I use is by Rust-Oleum (my favorite). Some have the primer included and some don’t. I got some at Walmart and it did not have it included and it was a few dollars cheaper but both are great. I will put a picture of it on this post. I should have done that anyway. Sorry and no I did not disassemble it. I just cleaned it. sometimes I will quickly sand but not on pieces like this – they don’t get touched a lot like a door knob (for example) would.